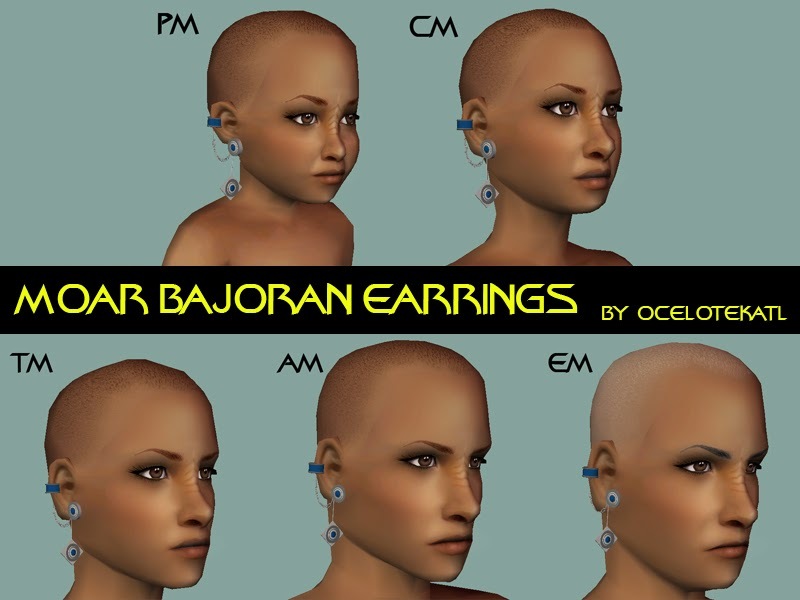 Second of two Bajoran Earring posts. I absolutely adore Nix's earrings, but I've always wanted a bit more variety. These are just regular old accessories for Toddler-Elder. This was supposed to be a set of seven and eventually the other four will get uploaded, but for right now I only had time to make three. They go on the right ear. This set was partially inspired by Mylochka's awesome earrings and use a part of her mesh. They're fairly high poly, so not recommended for slower systems. Six color options for each earring. 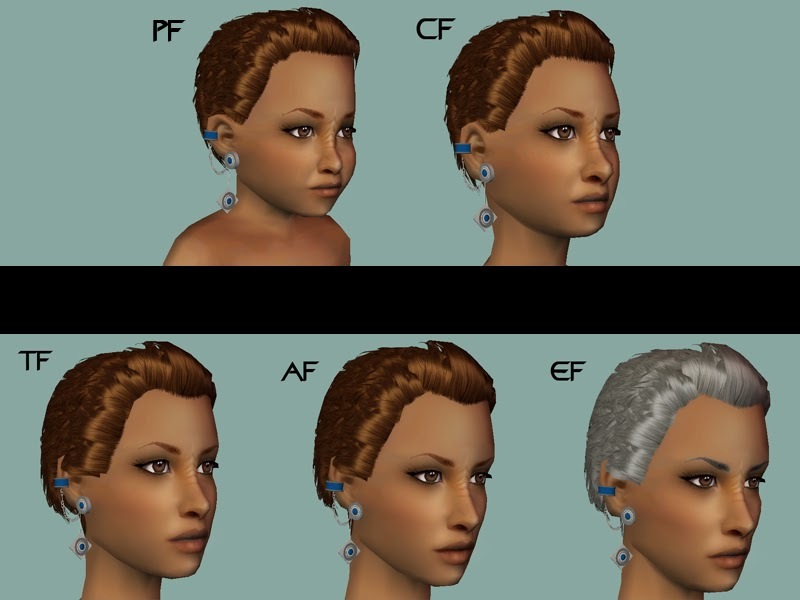 (All the earrings have the same UV map, so making recolors is extremely easy).